A 21st century pedagogue is one of the principal figures governing the process of human development. He or she is the main guardian both of nation's spiritual potential and that of humanity in general; the teacher is a professional, a master of up-to-date wealth of educational technologies, and a bearer of intellectual capital who is able to use it effectively in practice. Nearly 808 students study full-time in 42 groups at the faculty of pedagogy and psychology, and another 807 students study part-time in 31 groups. The faculty departments are staffed with 135 full-time members as well as 25 highly qualified educationists. Among the staff members are both experienced teachers having academic degrees and titles and rich life and professional experience, and young teachers doing their postgraduate studies. The average age of the staff members at the faculty is a little over 40. The academic staff of the faculty concentrates on 3 significant areas of their work: scientific research, teaching and educating, having won considerable achievements in each of them. Scientific findings obtained by associate professors S. Ryndevich, Z. Lukashenya and K. Tristen have been repeatedly presented at international and national theoretical and practical conferences and scientific forums. Scientific research carried out by the heads of departments N. Dubeshko and A. Rudneva, senior lecturers V. Zuev, A. Seleznev and V. Kozel is practice-oriented and has direct access to the solution of important social problems. Annually, students' scientific papers submitted to national competitions of students' research receive 1st-, 2nd- and 3d-category awards. 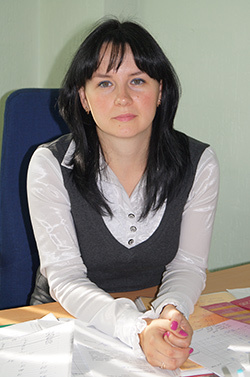 Teaching resources and materials in pedagogy written by associate professor V. Khitryuk have won a high appraisal in the country. The faculty's academic staff considers their top priority to train highly qualified specialists and foster intellectually wealthy individuals. To meet this challenge, the teaching and educational process is approximated as much as possible to practical activity. The curriculum of every course stipulates various practical training. The Departments of Preschool education and Pedagogy have opened up their branches at the creche-kindergarten No. 57 and school No. 10, where they conduct active scientific research and test new teaching and educational technologies. The branch of the psychology department works effectively at Baranovichi medical centre for children with psychoneurological disorders. While studying at the faculty, the students make use of 4 special-purpose laboratories: a laboratory of teaching techniques, a biological laboratory at the department of natural-science disciplines, including a hothouse and aquarium facilities, and laboratories of clothing manufacture and food processing technology at the Department of Technology and Fine Art. The educational and ideological work at the faculty is aimed at developing a socially active personality which is facilitated by the system of student self-government and the students' active participation in volunteer work, contests and festivals held at the university. It has become a tradition of the faculty to carry out charitable actions aimed at supporting the residents of the municipal social shelter. Last year the faculty carried out anti-AIDS training actions, recital contest devoted to the Belarusian actor and director V. Golubok, and some other activities. The academic staff of the faculty is constantly looking for new forms of educating a young specialist. general secondary schools, gymnasiums, lyceums as well as schools and classes with extensive learning of folk and decorative and applied arts, non-school education establishments (esthetic centres, fine art studios, community centres), social assistance services, rehabilitation centres, municipal social security departments, social environment supervisory bodies, public education authorities. undertaking individual creative and entrepreneurial activities. A specialist is expected to be well trained for the job of a teacher, a methodologist, an organizer and administrator, a lecturer and educator in the system of general secondary education and culture, as well as in scientific research. A specialist is trained to work as a teacher of household management and art in various secondary educational establishments; he or she is supposed to be able to plan and organize their teaching, to teach hobby classes and supervise pupils' scientific research in non-school educational establishments; the teacher is also supposed to work in educational bodies and scientific educational institutions, general secondary schools, lyceums, colleges as well as schools and classes with extensive learning of several subjects and institutions of higher learning. A specialist is trained for jobs of social and educational activity in various educational establishments as well as institutions providing pedagogical and public assistance. general secondary schools, gymnasiums, lyceums as well as schools and classes with extensive learning of folk and decorative-and-applied art, non-school educational establishments (esthetic centres, fine art studios, community centres), social assistance services, rehabilitation centres, municipal social security departments, social environment supervisory bodies, public education authorities. A specialist is expected to be well trained for a job of a teacher, a methodologist, an organizer and administrator, a lecturer and educator in the system of general secondary education and culture as well as in scientific research. A specialist is trained to work as a teacher of household management and entrepreneurship in various secondary educational establishments; he or she is supposed to be able to plan and organize their teaching, to teach hobby classes and supervise pupils' scientific research in non-school educational establishments; the teacher is also supposed to work in educational bodies and scientific educational institutions, general secondary schools, lyceums, colleges as well as schools and classes with extensive learning of several subjects, educational and cultural bodies, scientific institutions of educational type and institutions of higher education. A specialist is expected to be trained for social and educational activity in various educational establishments as well as in institutions providing public and educational assistance. psychological services of different levels, special-purpose centres offering psychological services, general-type educational establishments, specialized educational institutions of closed type, higher educational establishments, public education authorities, scientific psychological institutions, general secondary educational establishments, including psychological and pedagogical scientific institutions. a researcher or teacher-researcher at scientific institutions. Major 1-33 01 02 01 Geoecology. Nature protection and rational use of natural resources. Qualification Geographer-ecologist. Teacher of geography and ecology. geographical environment and its constituent natural and natural-anthropogenic geosystems; development of principles and standards of nature management; solution of theoretical and applied tasks in the field of rational use of natural resources, environmental protection, improvement of the people's active life environment and the country's sustainable development; teaching geographical and ecological disciplines. educational establishments of higher, secondary and secondary specialized education of the Ministry of Education of the Republic of Belarus and other ministries and departments. Graduate's professional field is children's education from their birth until they enter school. teaching and educating children of pre-school ages in pre-school establishments; research, scientific and pedagogical work in academic institutions. Form of study – full-time, part-time, part-time (for applicants with specialized secondary education). teaching in primary school; working as a methodologist or inspector in public education bodies; research, scientific and pedagogical work in scientific institutions. Form of study – full-time, part-time, part-time (for applicants with specilized secondary education). general secondary schools, gymnasiums, lyceums, institutions of psychological and educational types, social assistance services, rehabilitation centers, municipal social security departments, social environment supervisory bodies, public education authorities. carrying out scientific research and scientific and pedagogical work in scientific institutions.